Non-academic staff members are a group of individuals who renders their contribution to our Alma Mater, without much of prominence. 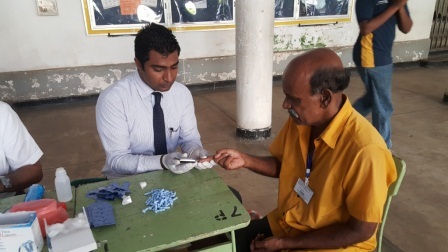 For their benefit, a medical clinic was conducted by the Royal College Doctors’ Association (RCDA) in collaboration with the College Interact Club on 07th April. The intention of the clinic was to ensure the non-academic staff stay healthy, to perform their day to day functions, effectively. A medical team comprised of over twenty general practitioners and specialist physicians and surgeons, all of them being old Royalists serving in different parts of the country, volunteered their valuable services at no cost to the school and non-academic staff. 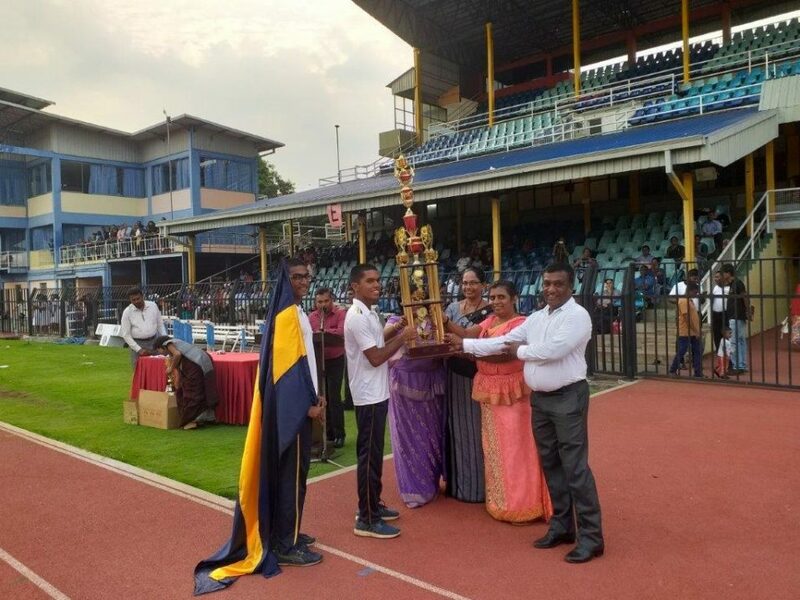 The Senior Deputy Principal Mr. P. Wickramasinghe, Assistant Principal Mr. Ashoka Galahitiyawa, President, – Royal College Doctors’ Association Dr. Ajith Tennakoon, and Secretary – Royal College Union Mr. Athula Munasinghe, were present at the occasion. 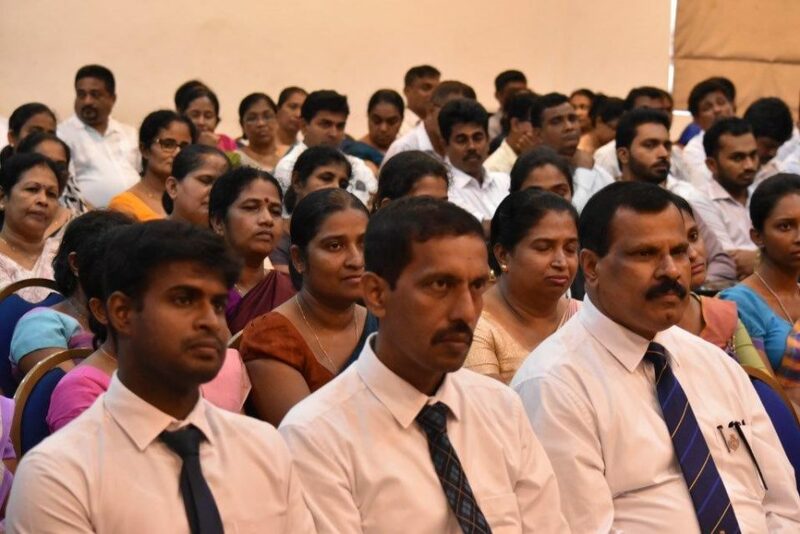 A Total of over 100 non-academic staff members were screened. It was very salutary that apart from physical ailments, persons who were found obese with a high body mass index (BMI), potentially at a health hazard stage were given medical advice regarding dietary habits to be followed and appropriate referrals were made to Healthy Lifestyle Centres for follow up processes to ameliorate the typical situations and conditions. As far as the problems connected with the eye care of the staff the ophthalmologists had found staff requiring vision corrections, and those needing spectacles were donated such on the 09th of May 2017. The Spectacles were donated by Dr. Manilka Sumanatilake, Consultant Endocrinologist. 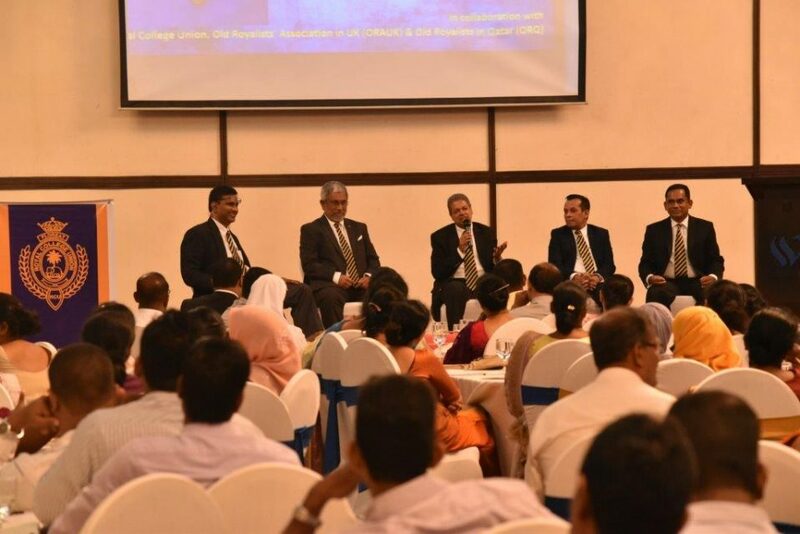 This event was organised by Dr. Charitha Wijesiriwardana and Dr. Pubudu Jayasara.